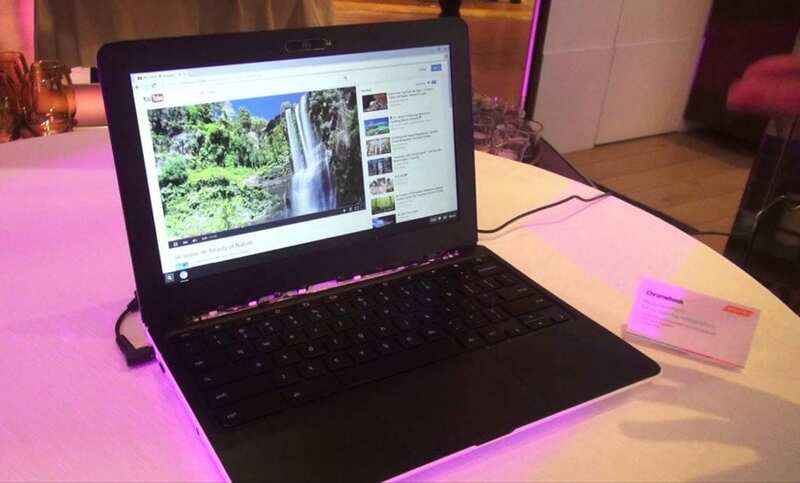 Is MediaTek Finally Producing a Chromebook? In June of 2015, the world’s top hardware manufacturers gathered in Taipei for the annual Computex Technology Exposition. Names like Nvidia, AMD, Asus, Intel and many more were there to show off the best they had to offer to current and future computing technologies. Among the participants was MediaTek, a company that has made a name for themselves by producing chipsets for a wide range of products. From mobile devices to tablets and wearables just to name a few. One of the more notable devices MediaTek has produced a SoC (System on Chip) for is the Amazon Fire HD Tablet line released on Q4 of 2014.
the laptops could appear in the second half of this year or early next year. So, where is this Chromebook? That’s a good question. To be honest, I had all but forgotten that MediaTek even stepped into the Chromebook arena. It’s been over a year since they displayed their non-functioning device; subsequently allowing Notebook Italia to show off a video of an actual working prototype. A year might as well be a century in the terms of technology. So, what is MediaTek waiting for? Did they abandon the prototype? Were they waiting to see what the future of Chrome and Chrome devices held? Remember, in early 2015 there were no Android Apps on Chromebooks. Chromebook sales were still behind the MacBook and many developers and consumers alike doubted the validity of the Chrome operating system in general. Chrome OS has become, we feel, a true, free-standing and fully-functional OS. With the addition of the Play Store later this year, the capabilities of Chrome OS have expanded exponentially. Chromebooks have surpassed Macbooks in sales by a sizeable margin. The education community has adopted Chrome devices so swiftly make up more than 50% of new purchases in the U.S. classroom. All of this combined with the number of OEM’s continuing to produce quality, affordable Chrome devices is a good indication that the Chromebook market is all-in-all secured for the foreseeable future. Although it’s been a year since MediaTek’s announcement of an upcoming Chromebook, the MT8173 is still a prime contender for current processors like the RockChip rk3288 found in the Asus Flip. Here’s a rundown of some of the specs of the quad-core processor. The MT8173 is designed with 64-bit Multi-core big.LITTLE architecture which is designed to provide greater performance and better power efficiency. Now that we’re all caught up, “What’s the point?” you ask. We frequently dig through developer forums and the Chromium review channels to keep up with developing hardware and software news. Recently, we came across some interesting commits that pointed to a set of boards named “oak” and “elm.” As more information is found, it seems this new board/device is built with MediaTek’s MT8173 chipset. In the commit link below you can see the “elm” device is undergoing touchscreen tests. The number of commits in the Chromium review are many and include testing of wifi, touchscreen, accelerometer and gyro. This isn’t conclusive evidence, but it certainly sounds like another possible convertible device in the works. 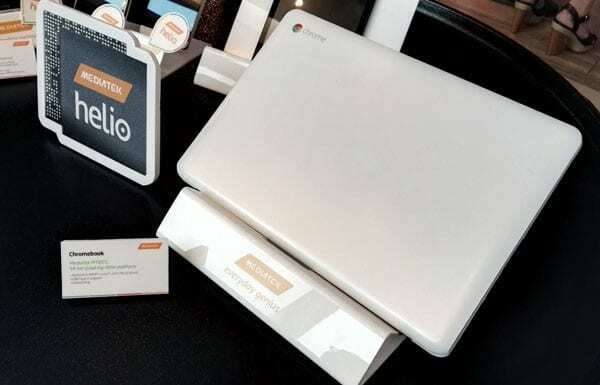 Either way, it appears that MediaTek is finally moving forward on production of their first Chromebook. Maybe they were waiting to see what direction the market was going to shift. Or, maybe they weren’t totally sold out to the idea of producing their own Chromebook. Regardless of their decision to wait as long as they have, there couldn’t be a more exciting time for new Chrome OS devices and big OEM’s like MediaTek to jump on board. Here are a few of the key commits about this new device. We will keep you posted as this possible new device develops. You can stay up-to-date with all things Chrome by subscribing to our newsletter below.